Osso BuccoOsso Bucco is a Milanese speciality of cross-cut veal shanks braised with vegetables, white wine and broth. 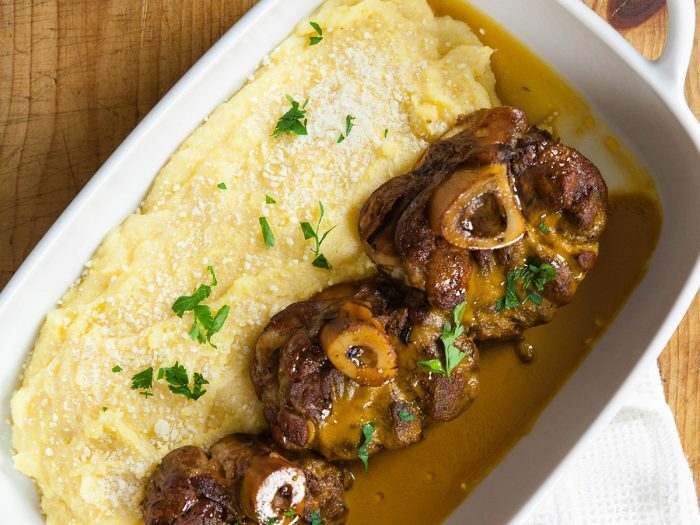 Enjoy our version over polenta. A recipe apart of our olive oil series. Quick Veal CacciatoreTender and flavorful, veal cutlets are lean and quick-cooking. If veal isn't for you though, feel free to substitute chicken cutlets for a classic cacciatore.